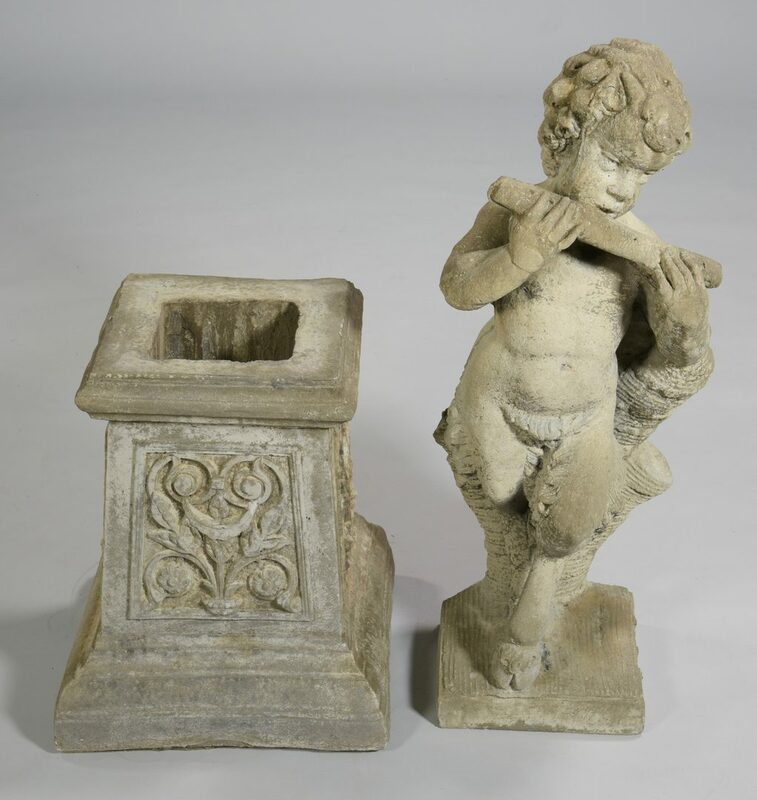 Cast concrete garden statue of Pan depicted standing on satyr legs and hooved feet and playing a flute, together with a cast concrete base with molded foliate decoration to the sides. 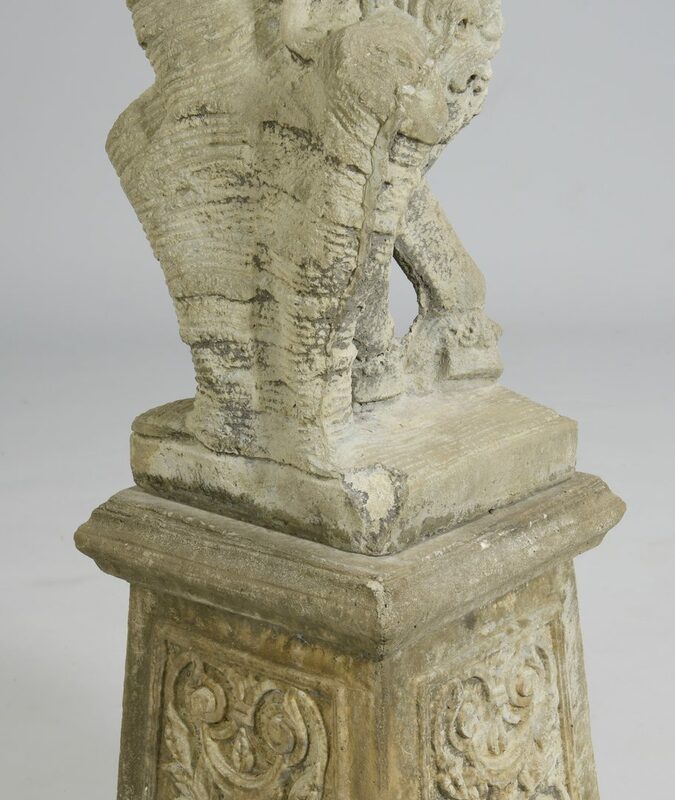 Statue – 30" H. Base – 17" H. 47" total. Mid-20th century. CONDITION: Chip to right back corner of statue. Overall general wear.